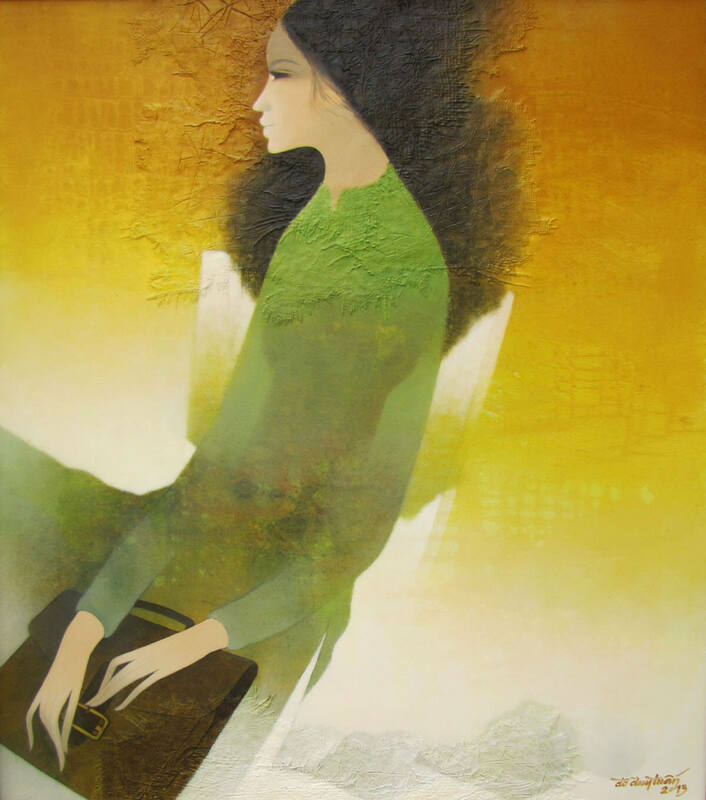 This beautiful original painting by the contemporary Asian artist Do Duy Tuan, depicts a young Vietnamese school girl sitting on a chair with her school satchel on her lap. 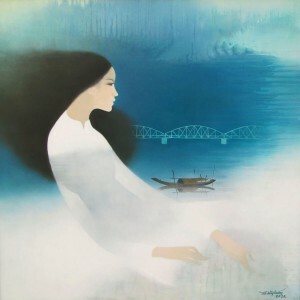 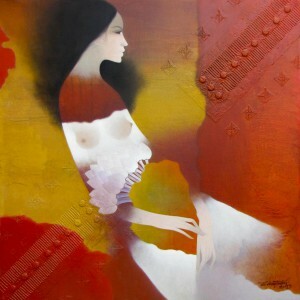 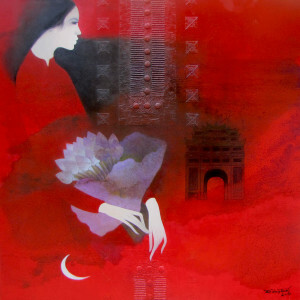 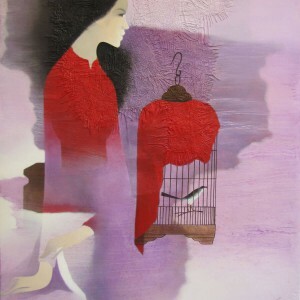 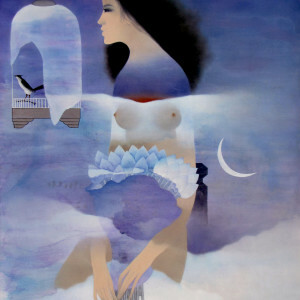 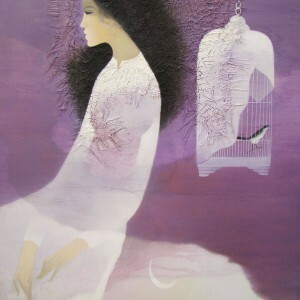 Do Duy Tuan’s paintings are a comment on the position of women in society. 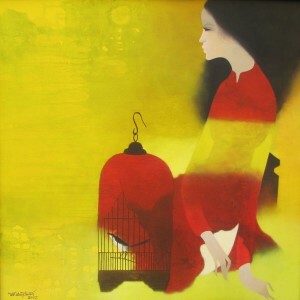 This composition shows a world full of possibilities for her. 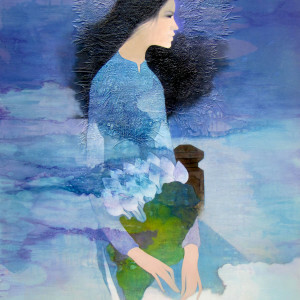 Her green AoDai signifies youth and hope.